A State Supreme Court decision could make a new tax in Isla Vista possible through bypassing most voters and giving local government officials the power to vote on a tax, a lawyer for the Isla Vista Community Services District (CSD) said. G. Ross Trindle, general counsel for the CSD, said at the board’s Sept. 12 meeting that the court’s decision in the California Cannabis Coalition v. City of Upland case could create a pathway to a new tax for Isla Vistans if the board decides to act as the ruling seems to suggest. The court decision suggests that the board will have the option to bring the tax to a special election or vote on it directly at a board meeting if 10 percent of voters bring signatures supporting an ordinance proposing a tax to the county. If the board chooses to pass the tax directly at a board meeting, voters will be stripped of their power to vote. In November 2016, locals shot down the tax when Measure F received less than a two-thirds majority of the vote. A special election is a vote that could be called immediately, requiring a two-thirds majority to pass. The ordinance voters would create is subject to the county’s approval and must outline the exact ways in which the tax would be collected and how the funds would be spent. Trindle said his interpretation of the court ruling was widely debated by legal scholars and that it is currently unclear whether the board would be able to take this option. He suggested the board focus on the issue in the “user utility tax ballot measure ad-hoc committee” created to work on putting the tax on the ballot. 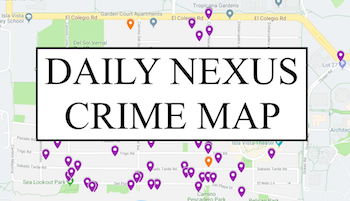 The Nexus contacted the offices of Supervisor Joan Hartmann, the District Attorney and the County of Santa Barbara’s legal counsel for comment on the legality of Trindle’s interpretation of the court ruling. As of Wednesday afternoon, none have responded to requests for comment. Trindle said the Howard Jarvis Taxpayers Association, an organization that helped amend the state constitution to require a two-thirds majority to pass a tax, was “very disappointed” with the court’s ruling because it could be interpreted as a way to circumvent the supermajority necessary to pass a tax. “They’ve specifically come out and commented that this would allow for ‘collusion’ between governments and special interest groups to effectively back-door taxes through this lower-level of scrutiny process,” Trindle said. 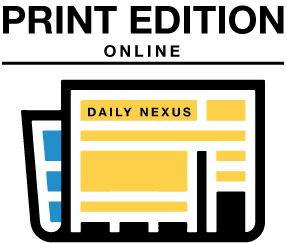 In an interview last month, board chair Ethan Bertrand told the Nexus there were plans to put the tax on the ballot in June or November of 2018 and said he was confident it would pass. Trindle’s comments at the end of the Sept. 12 meeting, however, present the board an opportunity to essentially bypass voters and create the tax through a simple majority at a board meeting. Voters last attempted to pass a tax in I.V. in November 2016, when it created the CSD through Measure E. Measures E and F were broadly campaigned to be voted on jointly, with E establishing the district and F funding it through a tax on the use of utilities in Isla Vista. Pressure slowly mounts on the CSD as it could be terminated if it fails to pass a tax. The bill that created the I.V. CSD, Assembly Bill 3, says “the district would be dissolved” if a utility user tax is not passed by Jan. 1, 2023. I.V. lawmakers will be weighing the decision to create the tax independent of most voters’ input or to bring the issue to the public. Some board members have spoken out against the move. “If we’re as concerned as we are with transparency and due process, this is a novel approach,” Hedges said before being reminded by Director Jay Freeman that he was not legally allowed to speak on the subject. The Ralph M. Brown Act limits board conversations to the subjects on the agenda posted to the public. The I.V. CSD meets every second and fourth Tuesday at 6 p.m. in the Community Conference Room on 970 Embarcadero Del Mar behind Naan Stop. Agenda and other meeting materials can be found at islavistacsd.com. Correction: Language in this article was changed to make clearer it is not certain whether the court’s ruling allows for this method of creating a tax, but does not rule out the possibility. Trindle was also previously misquoted as saying the CSD should create a new ad-hoc committee, while he actually said the board should take the issue to an existing ad-hoc committee, the UUT Ballot Measure Ad-Hoc Committee.